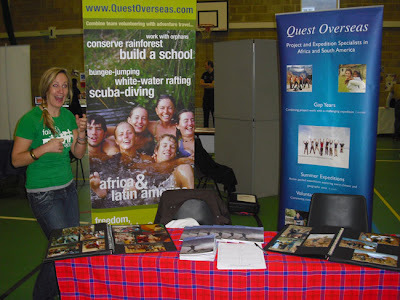 Thanks to Sherborne school for putting on a successful gap fair. Students braved the snowy conditions on the Dorset roads and came to plan their gap year. 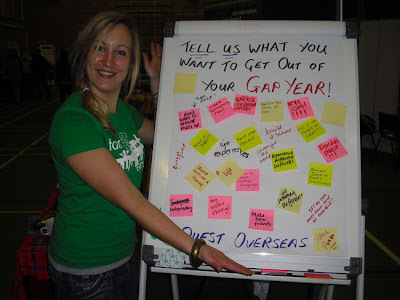 Rather than telling you what WE do, we decided to ask YOU what you wanted to do with your gap year. Requests such as "new life experiences", "make new friends" "not have to wear make up" and "eat five new types of meat" we will do our best to fulfill. However "earn £5 million", a request by one hopeful student, might be a bit trickier! We'll be at Wellington and Benenden this weekend as well, so do stop by to keep those suggestions coming.